Consider the impact you have on others when speaking the words you choose. They are words; there are meaningful words, pointless words and words that just hurt. Which words do you use the most? What is your intention when you use your words? 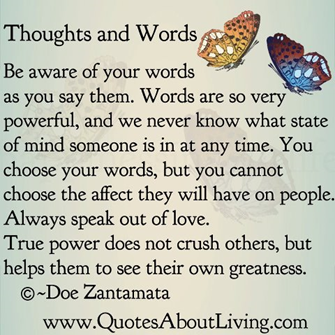 When you realize your words have affected another negatively do you take ownership of it and atone right away or do you sweep it under the carpet and expect them to do the same? Do you overreact and become spiteful or consider that there may be outside and/or extenuating circumstances? Communication isn’t just saying “hey man, how are you doing” but rather delving deeper to understand the true nature of those around you, how you can make your communication with them be more than just surface conversation and how that communication can connect you on deeper levels. 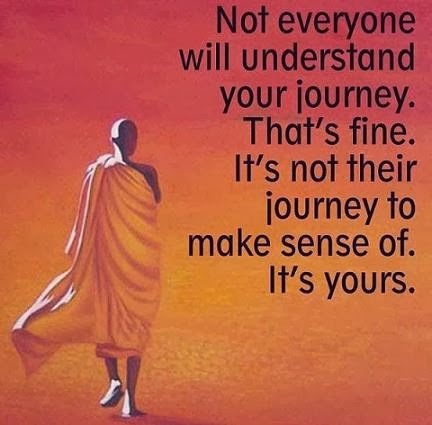 We all have many layers which are revealed over time through the feelings of true connection, validation, and understanding. If you really want to make an impact it is the words you choose through communication that can either peel those layers back to bring you closer or seal them up tight to protect your vulnerability. They may just be words but your influence and intention with these words can greatly affect those around you. Such a true statement and in relation to your choice of words when in specific situations, a simple adjustment to the way you look at things also changes the way you respond. I think a lot of times many of us may react as a result of it essentially being the straw that broke the camel’s back because our plate is already overloaded with too many things that are stressful and draining on the patience of your spirit. There is more chance of overreaction when in this state and I think it can be exacerbated by the energy of the environment you keep. Alternatively it may not be overreaction but that the intention of another is to hurt you with their words and if that is the case then that is truly not your path but the fork in the road, there to help re-direct you away from the drama and karma that will eventually dispel. Regardless of how someone has treated you, regardless of how damaging it may have felt or been and regardless of how much you may want to inflict or encourage redemption it is better to distance yourself from those thoughts. The karmic wheel spins in alignment with the Universe and makes adjustments accordingly, your influence is not necessary, in fact it will only inhibit you from your best life. It will always prove to be utterly frustrating to get yourself caught up in the why’s and what if’s of experiences that are out of your control, sometimes you will never know the answers and sometimes you will but at all times it is best for your spirit to take the higher road and continue on your path as it is the one that is for the higher purpose of you!